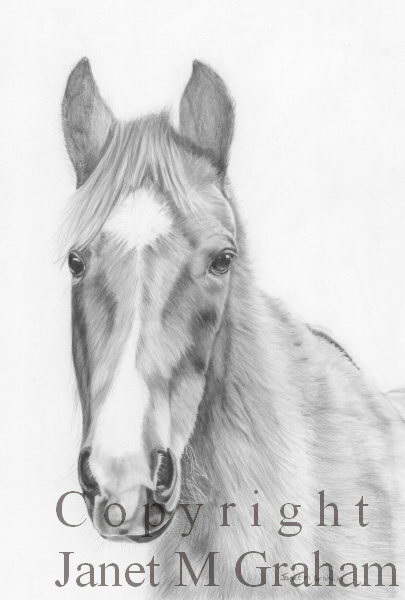 Decided to do a pencil drawing for a change. It is 17 x 25 cm on Mellotex paper. Loved the colour of this cat's eyes. It is 6 x 4 inches on canvas board. 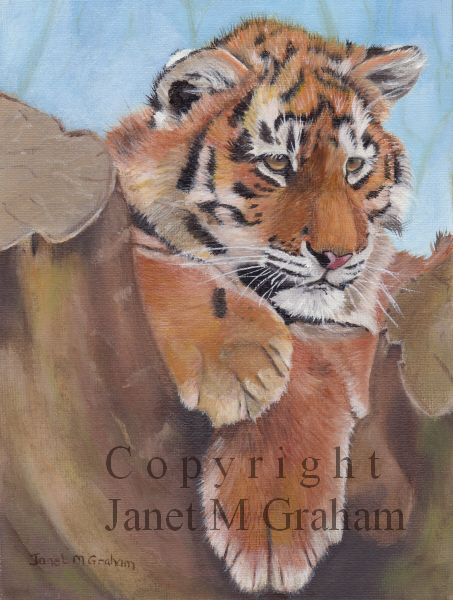 As mentioned before I love painting big cats so I couldn't resist painting this cute tiger cub. 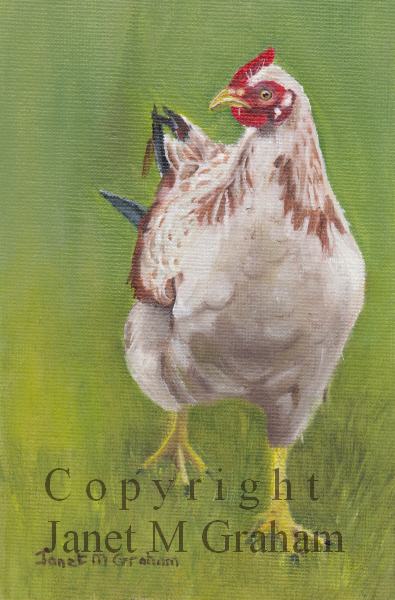 It is 6 x 8 inches on canvas board. Many thanks to David Stribbling for the reference photos. I rather enjoyed painting this one. Would love to have few chooks in the garden - only problem is that the next door neighbour has a cat which visits my garden often - the cat has already knocked down the bird bath 3 times so having chickens around might not be a good idea. For the time being I will just have to be content in painting them. 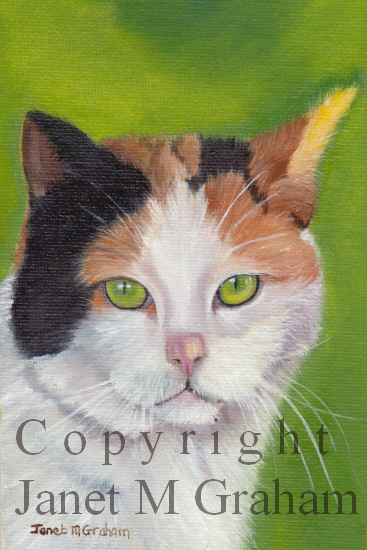 It is 6 x 4 inches on canvas board. 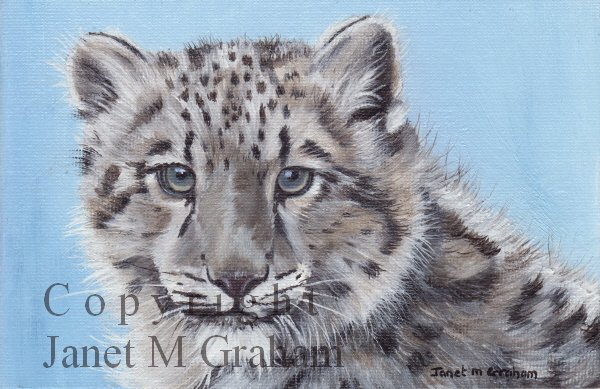 I love painting or drawing big cats so when I came across this adorable photo of a snow leopard cub I just had to paint it. It is 6 x 4 inches on canvas board. Many thanks to Steven Smith for the reference photo.